WENATCHEE — The River Run Half-Marathon, 10K and 5K scheduled for this Saturday has been canceled due to poor air quality brought about by fires burning in the foothills west of Wenatchee, organizers announced late Thursday morning. Runners and walkers who registered for the event will still receive a 2012 finishers shirt and a 50-percent credit toward one of the other events that organizers put on this year and in 2013. 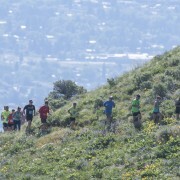 The organizing group, RunWenatchee, also will donate money to the Red Cross Apple Valley Chapter, which is aiding victims of the fire, and donate all of River Run’s water, gel and post-race food to firefighters and others battling the blazes. 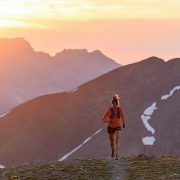 RunWenatchee consulted with the Chelan-Douglas Health District, local medical professionals and race directors from around the Pacific Northwest and country before making the decision. 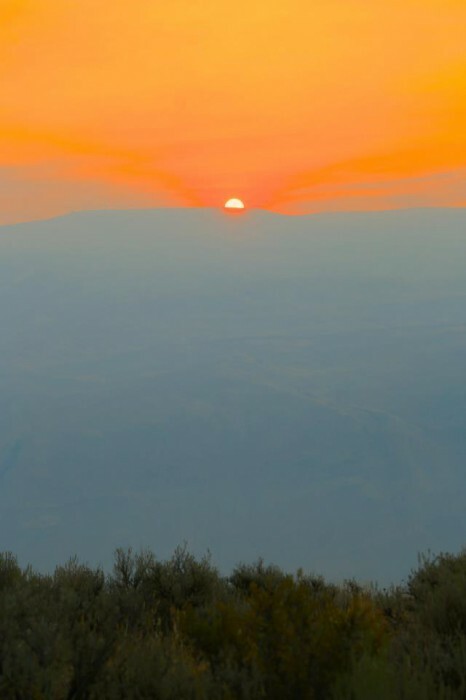 Air quality in the Wenatchee area is expected to remain poor through the weekend. 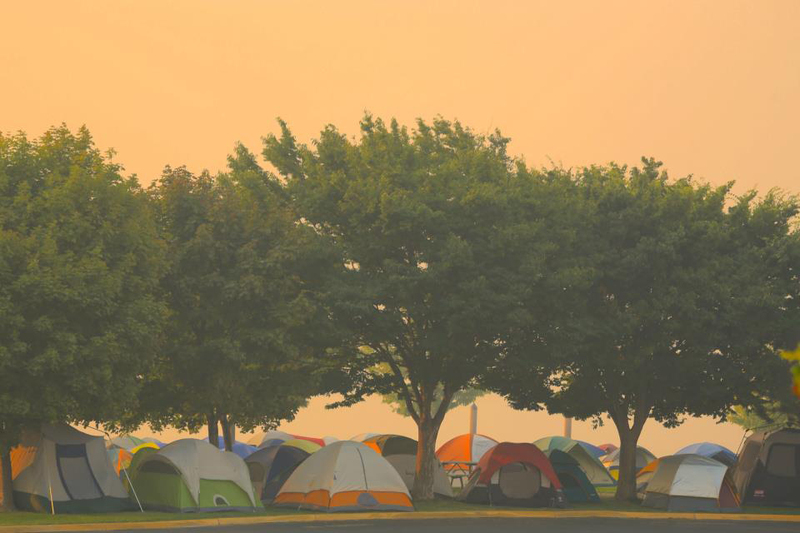 The conditions have been caused by several fires burning in Chelan County, including some just to the west of Wenatchee, and a weather inversion that has kept the smoke trapped in the Wenatchee Valley. The cancellation of River Run does not impact the Taste of the Harvest Festival. That event — which features live music, wine and beer gardens, farmers market, arts-and-crafts booths, food booths — will still be held Saturday on Wenatchee Avenue. River Run is held in conjunction with the festival. A weather front moving into the region is expected to scour some of smoke out of Wenatchee. “We’ve been in a real jam because we’ve been hoping the wind would pick up and clear the smoke out, but it’s been iffy as to when that would happen and to what degree,” said Steve Maher, a partner in RunWenatchee. “The plans of River Run participants have been hold — including many who were coming from the Seattle area — so we had to make a decision today (Thursday) on whether to hold the race. River Run participants can get their finishers shirts by stopping by Arlberg Sports from 4 to 6 p.m. Friday or by emailing runwenatchee@gmail.com. They also can respond to an email that was sent Thursday to all participants. 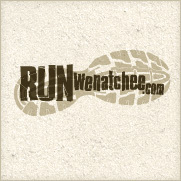 Participants will receive 50 percent off the entry fee to one of the following RunWenatchee events: Turkey on the Run, held Nov. 22, 2012, in Wenatchee; Red Devil Challenge, held in early June 2013 near Cashmere; Lake Chelan Marathon, Half-Marathon and 10K, held in early September 2013; River Run, held in mid-September 2013; and Turkey on the Run, held Thanksgiving Day 2013. To get the credit, they should enter the following code when registering online at active.com: RUNWEN.